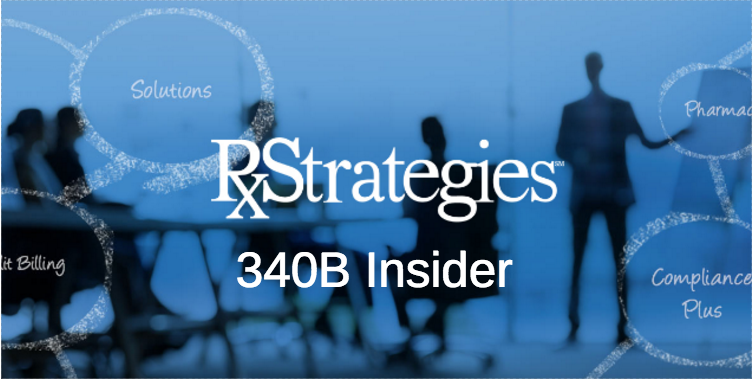 340B Insider – July 2018 – RxStrategies, Inc. Welcome to the July edition of RxStrategies’ 340B Insider, a concise communication to provide a quick highlight of updates from RxStrategies’ view. It was great to connect with so many of our clients and industry leaders during the 340B Coalition Summer Conference in Washington D.C. In addition to being a Pinnacle Leader Sponsor of the conference, our team was pleased to be featured and present in several sessions, and sponsor the Charity Fun Run/Walk. Thank you to those who were able to stop by our booth or visit with the RxStrategies team between sessions. We appreciated the opportunity to discuss key 340B industry trends and share current best practice approaches. Contact us to receive a copy of the presentation. We also received strong feedback on RxS ConfirmPlus in development. Contact us to learn how our solutions support more effective 340B management or to arrange for a demo. Presentations and discussions during the conference pointed to the fact that the 340B program will continue to be under material pressure for the balance of the year. The U.S. Senate is proposing to take a slower, more bipartisan approach to any 340B program changes. House Committee on Energy and Commerce hearings have been quite contentious and adversarial. Develop and promote Impact Statements describing how 340B programs are benefitting your local communities. Leverage 340B Lobby Day messaging within your own districts including arranging for meetings with their U.S. Senators/Representatives at your CE site to highlight the positive impact the 340B program is making in your community. Contact your RxS account manager to discuss specific support needed. Read below for recent news from 340B Health. Annual recertification of eligibility for 340B drug discounts for hospitals will begin Aug. 15 and end Sep. 12. The 340B statute requires hospitals and all other providers in 340B to attest once a year that they remain eligible, that their information on file with HRSA Office of Pharmacy Affairs (OPA) is up-to-date and that they will comply with all 340B program requirements. Failure to recertify leads to removal from the program. OPA is holding an informational webinar for hospitals on Wednesday, Aug. 8 from 1:00-2:00 p.m. EST.